The Oswaldo Cruz Institute for Tropical Diseases (often referred to as FioCruz) is of global renown, considered one of the world’s leading public health research institutions. The Institute has been leading research and saving lives for many decades. Recently, we received three researchers very interested in hanging insect traps designed to capture mosquitoes. Maycom Neves, Tiago and Agostingho Perreira are researching two species that are not known in their larvae stage. Interestingly enough one species, Wyeomyia knabi, first collected by Teobald in Cachoeiras de Macacu and sent to UK in 1901 was named after his beloved Wye College where he had studied. Our researchers are looking for the young or their stages as larvae. Sabethes forattteniiis another species that has been collected at REGUA but not very well known. Neither are a transmitter of diseases, but the FioCruz is always concerned with public health and lead research efforts into the lives of our friendly mosquitoes amongst many other creatures. After this brief introduction, I will certainly look out for these amazing creatures. Michael Patrikeev, a long standing friend and supporter of REGUA is always coming up with amazing information on his sightings while at the Reserve. The latest concerns two species of large grasshopper found at REGUA. Here’s Michael’s report and excellent photographs. Tropidacris cristata (Giant Red-winged Grasshopper) is the largest known grasshopper, reaching up to 14 cm in length, and 24 cm wingspan. The adults are olive or brownish-green, with orange hindwings. 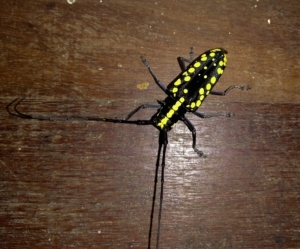 The nymphs are striped with black and yellow, and likely toxic. This species inhabits forested areas of Central and South America from southern Mexico to northern Argentina, and the island of Trinidad. In flight it resembles a small bird. Tropidacris collaris (Giant Violet-winged Grasshopper) is found in tropical forests and grasslands of South America east of the Andes, from Colombia to Argentina. 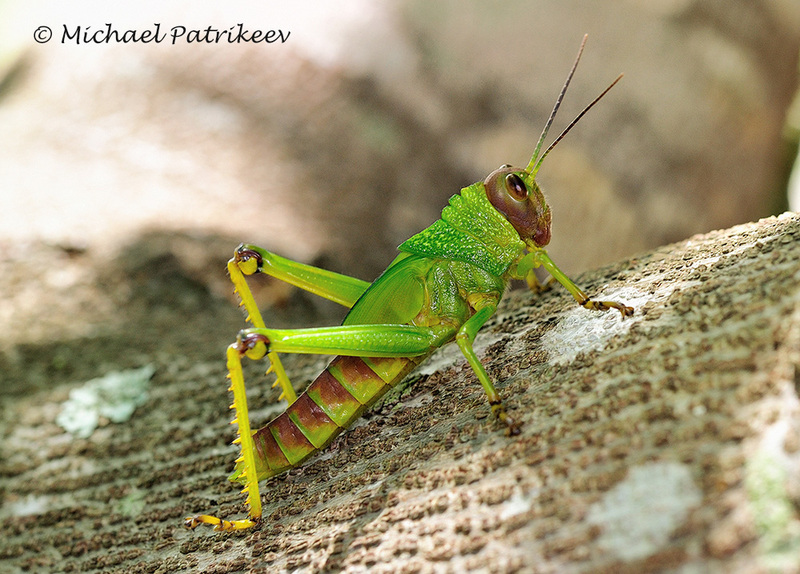 Along with T. cristata, this is one of the largest known grasshoppers (length around 10 cm, wingspan 18 cm). The adult is mostly green, yellow-green or brown, with blue hindwings. This species is more common than T. cristata. The family of Treehoppers otherwise known as Membracidae is made up of more than 3,500 species. 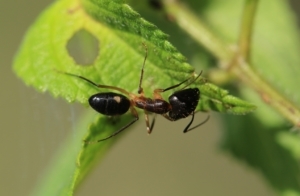 They use the pronotum to mimic thorns on the branches they live on, preventing predators from seeing them. This is not their only source of defence however. Treehoppers feed on plant sap by drilling into plant stems. As a result, a sugary substance called “honeydew” is secreted. The honeydew is an important food source for a variety of ants, bees and wasps. In return presence of the ants, bees and wasps keeps predators away and is a direct benefit of their symbiotic relationship. 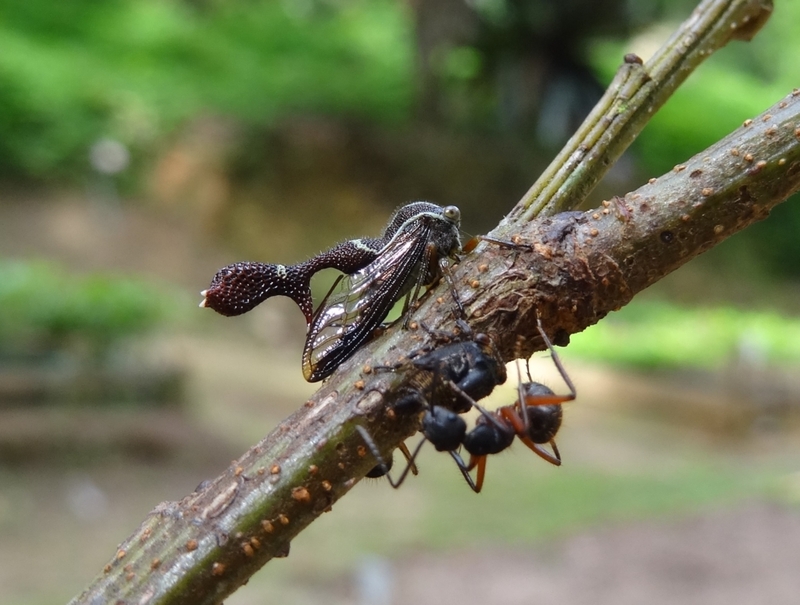 Some species of Treehopper also have a well-developed ant mutualism, and these species are normally gregarious, helping to attract ever more ants to protect them. The Treehopper pictured was found with others in the INEA Nursery in Trajano de Morais, around 100km from here, where we have picked up seedlings. I have identified the Genus as Heteronotus , confirmed by Dr. Lewis Deitz. After this brief introduction, I’m sure you will want to visit and look out for these amazing creatures. I certainly can’t wait to find more!! Ed: To see the symbiosis in action see Nicholas’ video here. New species of unicorn mantis discovered at REGUA? 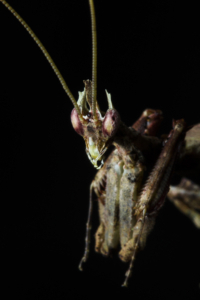 In December 2017 a team of biologists from Project Mantis led by Leonardo Lanna and funded by the National Geographic Society, spent six days at REGUA searching the forest for mantises. The expedition was a huge success! 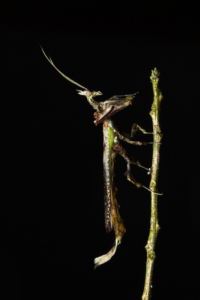 REGUA was found to have the highest diversity of mantises of any single area of the Atlantic Forest and the team found what is most likely new and undescribed species of unicorn mantis of the genus Zoolea. 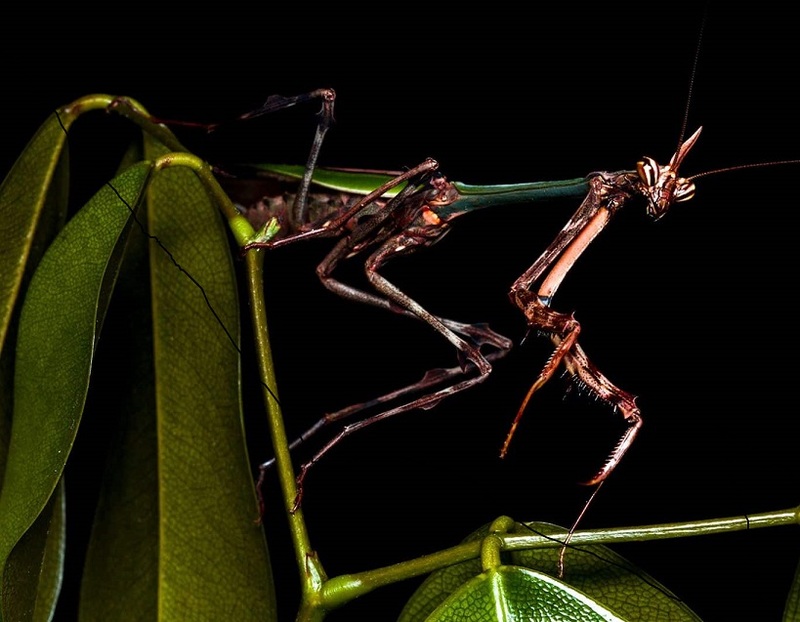 They also found not one by two males of the mythical Brazilian Dragon Mantis Stenophylla cornigera – one of the rarest species of praying mantis in the world, and took the first photos and video ever of this species. For more details of this discovery and other expeditions undertaken by Project Mantis see the National Geographic Society website. Bees are divided into four principal families; the Bumblebee (Bombus), Honey bee (Apis), Stingless bees (Meliponinae) and the ultra-cool looking Orchid bees (Euglossine), which are coated in metallic armour. For millions of years, the South American continent was free of the Apis family, but early South American colonists brought the European Apis bees in the early 1500’s, leading to production of honey and a thriving business that today sees both Argentina and Brazil as the largest global producers. In the 1970’s, an African honey queen bee escaped captivity and bred with the European species forming a hardier and aggressive sub-species that is found throughout the continent. Habitat loss has led to much damage to the native stingless bee populations which represent the pollinators of the majority of the 20 thousand Atlantic Rainforest plant species. 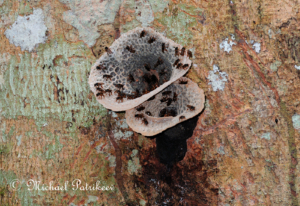 There are thought to be close to 400 stingless bee species in existence within this biome, but with the habitat loss their populations have collapsed. 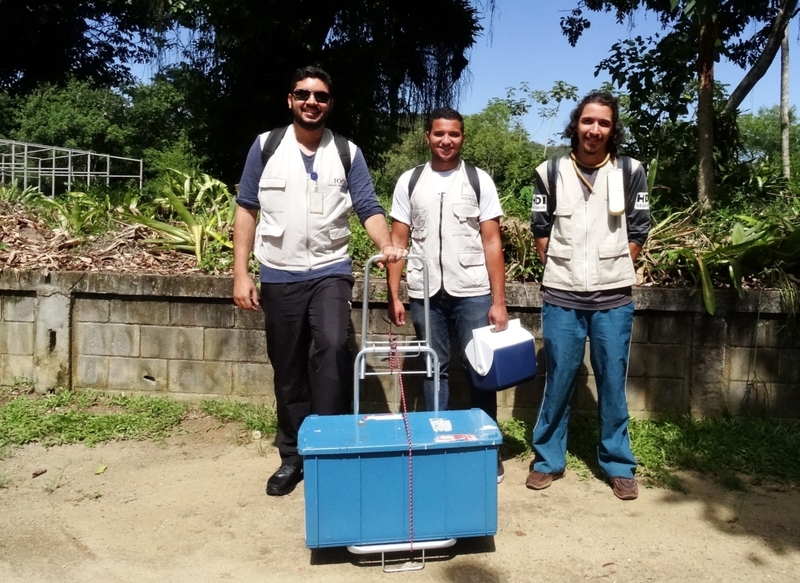 REGUA is keen to reinstate their importance to local community and farmers and when UERJ University students, Denilson da Silva and his partner Rita de Cássia made contact, we quickly jumped to the opportunity of placing a couple of hives here at REGUA. Jesimar Medici, vice president of the non-profit Civic Association of Meliponicultors “AME-Rio” approved the project and three hives arrived in December. We now wait and see what will happen and if successful, encourage the farming community to get involved and hopefully place further hives around the watershed. This could have an amazing outcome for this remarkable bee! As faithful followers of the illustrious Dr. Edward O. Wilson, we are always keen to learn about Ants and when Professor Jarbas Queiroz from the Rio de Janeiro Rural University visited wanting to study Formicidae at REGUA, we could not have been happier. Ectatomma tuberculatum This species feeds mostly on insects and lives in a nest made of grass cuttings above ground. When disturbed, it attacks with a ferocious bite. Jarbas’ soft way of speaking only made us more intrigued about this very special group of insects, which many consider the pillar of tropical ecosystems. 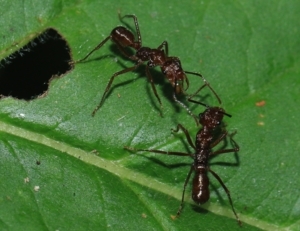 Surprises were in store for Raquel and myself, when after 30 years living here, we only knew of three species of ants; Fireants or Solenopsis, the Azteca family of ants living in hollow Cecropias and the famous leaf cutters of the Atta and Acromyrmex genus. Imagine our surprise when he said there must be at least 400 species present at REGUA alone. It didn’t take long to suggest that we put together a field guide with the most common species to help those interested in their identification. Jarbas presented Biology student Eder Cleyton Barbosa to us and Eder took to his study like a duck to water. So far Eder has identified 120 species, bringing together a rich text and superb photos. Eder is very talented and aside visiting a well-known laboratory at Curitiba Paraná to identify many species, he thinks he may have a new species. With a few more field trips, he should have the material needed to publish his book which will be terrific to help us determine species, habit and their behaviour. If you want to come and study Formicidae here at REGUA we would be only too pleased to receive you! Please get in touch. Raquel and I were busy having dinner after a good day’s work, when a large beetle crashed into our table. We didn’t recognise it, but upon consulting Celso Godinho Jnr’s field guide of Beetles of the World, we found it to be a fine example of the Flat-faced Longhorn beetle, or Taeniotes subocellatus of the Cerambycidae family. It was first collected in 1792, making it the second discovered Taeniotes beetle, as named by Guillaume-Antoine Olivier, one of Frances most prestigious naturalists in his own important reference book. This species is found as far north as Guyana in August / September coinciding with the same month it came to us for dinner. “This species, restricted to the Atlantic Forest of the south-east Brazil, inhabits primary and mature secondary humid forest, where it builds nests in cavities and crevices in trees. The image shows the bees guarding the elaborate structures at the entrance to their nest. These structures, resembling tree fungi, are made of wax. 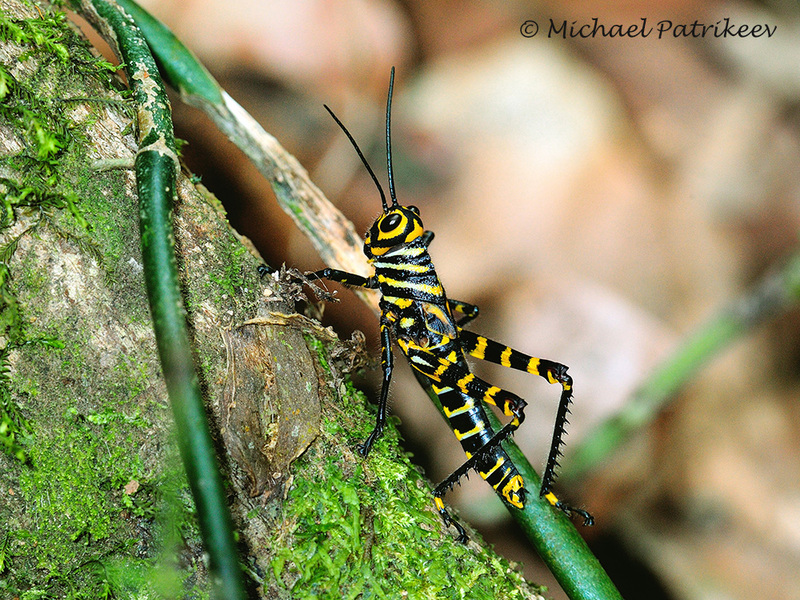 This is just one of the multitude of forest species protected in REGUA. Each piece of information we find continues to reinforce the importance of the work which the REGUA Team and its supporters make possible. The Mantis Project is made up of Brazilian biologists Leonardo Lanna, Savio Cavalcante, João Felipe Herculano and designer Lucas Fiat, who are very keen on insects. They met at UNIRIO University in 2015 and soon discovered that there was no-one studying the impressive Mantis order, Mantodea. There are over 430 genera and 2400 species divided in 15 families worldwide and they believed there could to be many in the Atlantic Rainforest. Leonardo and his friends got together and started their first field trips in Valença a town in the South-West of Rio State and the following year caught an undescribed species, a first for science. Their primary interest was not in just finding and identifying these amazing creatures but also raising Mantises, showing people that these insects are not dangerous or life threatening but beautiful, gentle creatures that indicate the quality of the habitat. 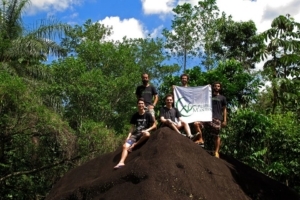 With their increased passion the Team started to work at Rio de Janeiro’s Botanical Garden. They submitted a project to National Geographic in 2016 and received the funding to research the State of Rio and increase the list of the 12 genera already known there. However, Rio de Janeiro state is very large and their study varied from sand dune habitat known as “Restinga”, Mangrove habitat to the lofty “Paramos” or sedge growing waterlogged habitat found at close to 2,600 metres above sea level in Itatiaia (two hours drive west of Rio city) where temperatures fall below zero at night in the winter. The team also included REGUA in their research and arrived to stay at its field station in December 2017. One mystical Praying Mantis is the Dragon Mantis, Stenophylla cornigera described by English entomologist John Westwood in 1843. It resembles depictions of miniature dragon and the young biologists had never seen one. Imagine their delight when on the first night, an example arrived at the REGUA light and they could see it in full detail. The team of biologists collected not only one. A second was found a couple of days later from a forest fragment just seven kilometres away, showing that the species is present along the Guapiaçu valley. A report and video was sent to National Geographic magazine which was hugely successful. The overall research revealed another nine genera taking the total Mantodea list in Rio de Janeiro State to 21 genera, of which 15 have been found at REGUA. Leonardo says that REGUA is at an elevated level of habitat protection. Perhaps the significant area of remaining forest cover, full altitudinal gradient and low demographic pressure all influence but the fact is that as an indicator species, Praying mantises reveal that the REGUA conservation project is working in the right direction. Dr Adrian Spalding, president of the British Entomological and Natural History Society in company of Devon’s Marsland reserve director Gary Pilkington visited REGUA in search of insects and birds last October. 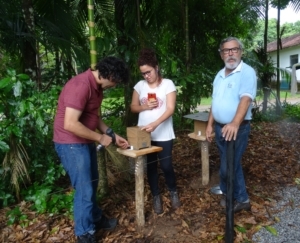 The weather was not helpful being hot and dry, so together with Jorge, REGUA’s resident lepidopterist, we headed for a night’s “moth trapping” at Bel Miller’s house in nearby Macae de Cima. The weather at that point changed and a light drizzle started. Bel had mentioned that the weather had also been dry so the rain was most welcome. Before dinner, Gary set up the light and whilst we had our meal, we could see the moths homing in. Dr Adrian was up and down and taking photographs of species that converged by the light. Jorge patiently placed examples of Hawkmoths for identification and send mouth-watering photos to Alan Martin, co-writer of REGUA’s publication “A Guide to the Hawkmoth of the Serra dos Orgaos, South-eastern Brazil”. A multitude of Silkmoths, Tiger moths, Hawkmoths and other micro moths as well as other insects attracted by the light and humid weather came in droves and Adrian said that this must be “the best night EVER I have mothed!” Gary was similarly delighted, his head covered in moths busy taking photos. A superb Giant Silkmoth visited, Rothschildia hesperus (Linnaeus, 1758). Occurring from Argentina to South USA, this is a canopy rainforest species found from sea level to 1400m. 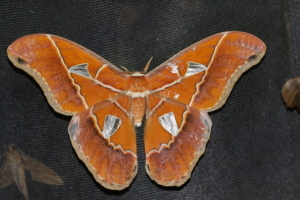 It has a wingspan of 10-12 cm and the male is larger bearing transparent triangular windows in each wing. Females have more rounded wings than males. The adults do not feed, for after mating and laying eggs, and their life’s function is fulfilled. Dr. Adrian and Gary were in their element. Who wouldn’t be, covered in moths ! !